"So everybody been bugging me and everything and you know I've been trying to work things out with my baby father for a hot minute now," Cardi began. Cardi B just announced her split from husband Offset after just one year of marriage. The rapper revealed the news through a post on Instagram. In the video, she says they "grew out of love." "We are really good friends and we are really good business partners—you know he's always somebody that I run to talk to, and we got a lot of love for each other but things just haven't been working out between us for a long time." "It's nobody fault I guess we just grew out of love, but we are not together anymore. 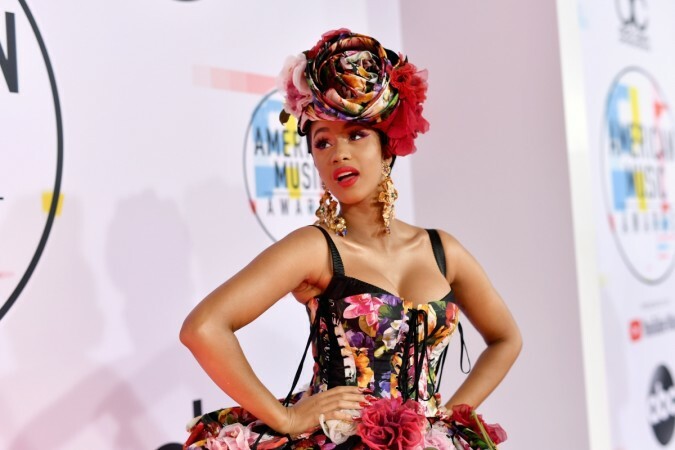 I don't know, it might take time to get a divorce and I'm going to always have a lot of love for him because he is my daughter's father," Cardi concluded. Offset also responded to Cardi's video writing, "Y'all won." Many fans still think this is a prank being pulled on them by Cardi. And we have to say we hope so too. Cardi B and Offset welcomed baby daughter Kulture earlier this year. It was reported that just one month before giving birth, Cardi revealed that she and Offset were actually married. Offset had proposed to the rapper on Oct. 28 of last year onstage at Power 99's Powerhouse concert in Philadelphia.